Leading Manufacturer of tmt galvanized rods from Jaipur. 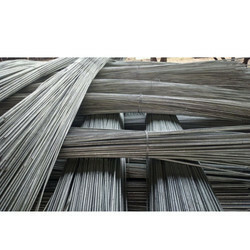 TMT Galvanized Rods can be galvanized as per your length. We provide proper bundling of the rods prior to loading. Even the rings can be made as per your design through an automatic machine or manually. In order to enhance the corrosion resistance of the TMT Bars, we conducted extensive R&D for Galvanization of there bars. Superior resistance to atmospheric and marine corrosion. Enhanced strength combined with high ductivity. Excellent weld-ability without loss of strength of welded joints. Significant savings in cost of quality steel. Looking for TMT Galvanized Rods ?